George Orwell's "1984" is coming to Broadway. 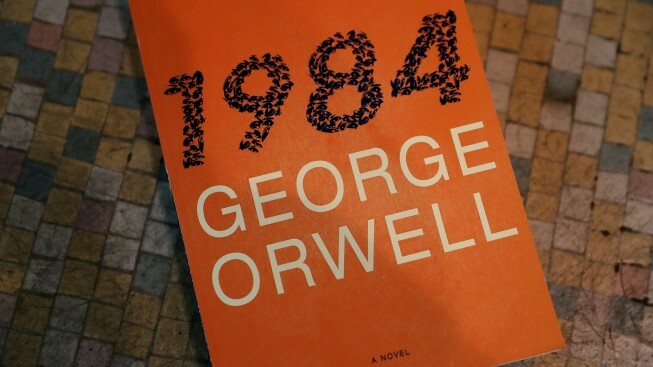 Sales of George Orwell's dystopian novel "1984" have exploded since the Jan. 20 inauguration of President Donald Trump, with readers turning to the novel to explore the book's "doublethink" concept and portrait of totalitarian government, which many argue has parallels to the new administration's use of "alternative facts." But for those who can't get their hands on a copy of the 70-year-old novel — or don't have time to read through its 300-plus pages — Broadway's got you covered. The hit London stage adaptation of Orwell's timely novel will premiere on Broadway this summer, in a limited engagement production set to open on June 22 at the Hudson Theatre. Robert Icke and Duncan Macmillan jointly wrote the piece, and will co-direct here too. They originally premiered the show in 2013 at the Nottingham Playhouse before transferring it to London's Almeida Theatre, where it had four separate engagements. So far, "1984" is the first planned production for the 2017-18 Broadway season. Its announcement came days after the novel hit no. 1 on the Amazon charts. Ticket information and casting is expected to be announced shortly.